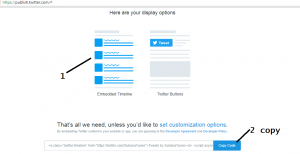 This article about How to Add Twitter Widget to Blogger Blogs. 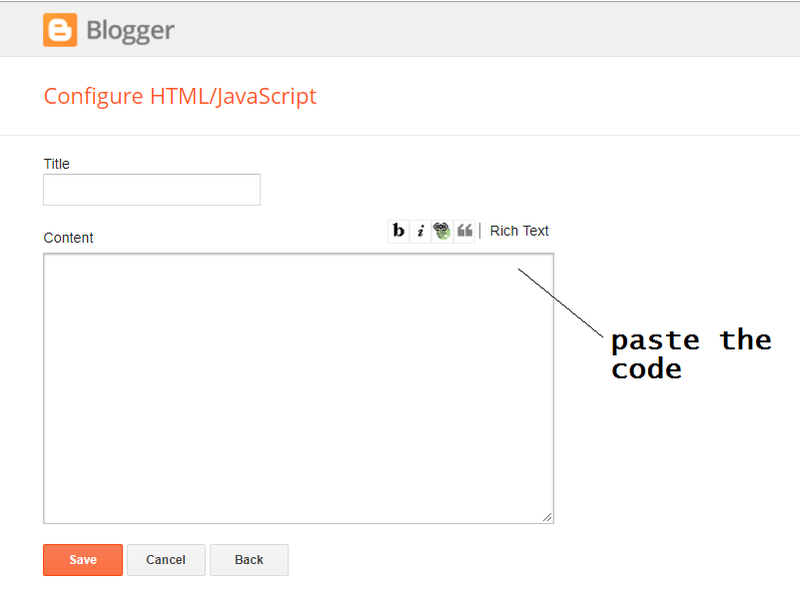 Blogger is a blog-publishing service. They are being one of the best and free resources to get online visibility. 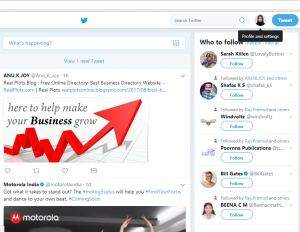 Blogs are used widely by blog publishers who do not wish to create a paid blog with separate domain purchase and server space purchase and It also allows multi-user blogs. It was developed by Pyra Labs, which was published in 2003. 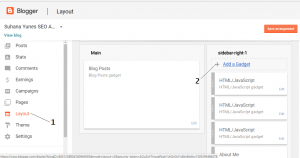 Generally, the blogs are hosted by Google at a subdomain of blogspot.com. 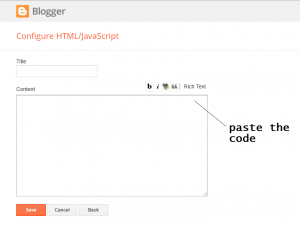 A user can have up to 100 blogs per account. Blog is the abbreviated form WebLog. Creating a blog, maintaining a blog or adding articles to your existing blog is termed as Blogging. Individual article on blogs are called Blog post. One posts an article is called a Blogger. 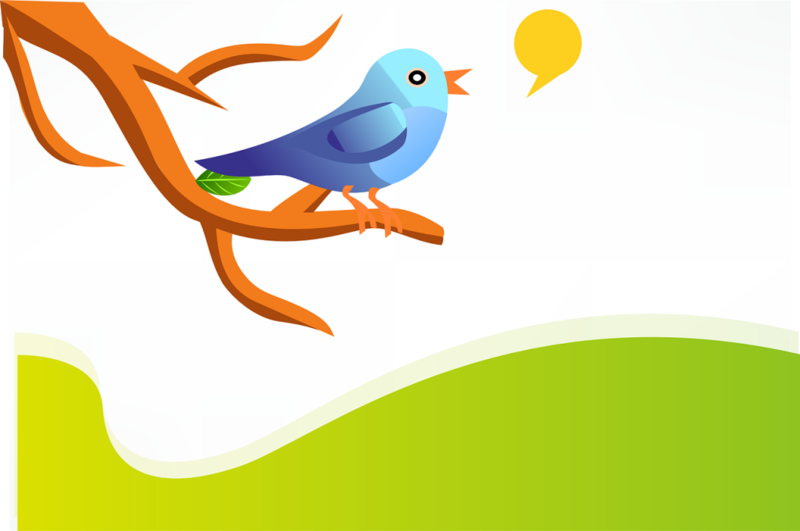 Twitter is an online and social networking service where users post and interact with messages, “tweets”, restricted to 140 characters. 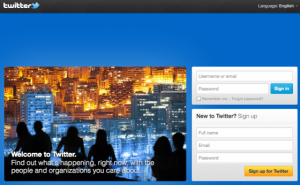 Registered users can post tweets, but those who are unregistered can only read them. 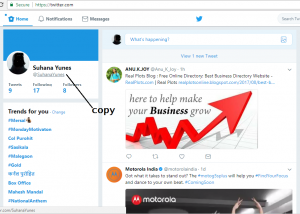 Following are the steps on How to Add Twitter Widget to Blogspot Blogs. 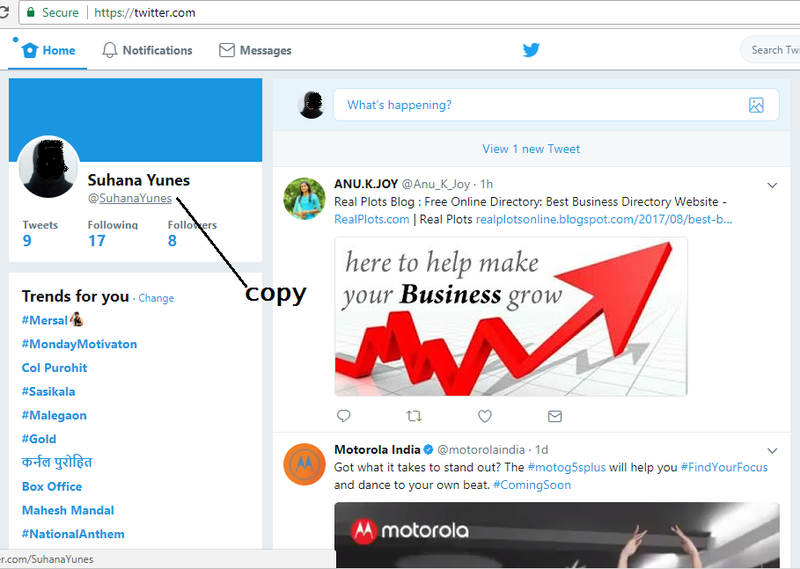 Copy the twitter id (Eg; @suhanayunes). Then click on the profile icon and again select the ‘Settings and Privacy’ option. From that select widget option and select ‘Create new’ option. click on the ‘create new’ option it will show different options from that select ‘profile’ option. 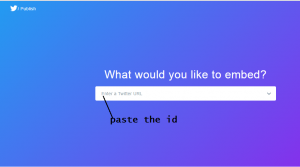 It will redirected to a new page and paste the id on the space provided. 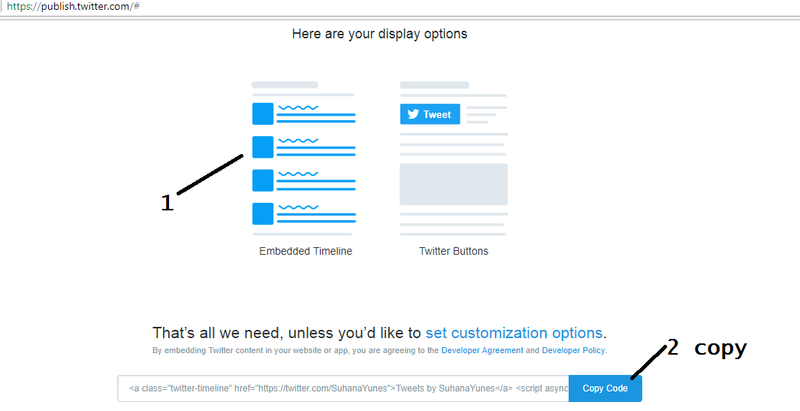 Select ‘Embedded Timeline’ option and copy the html code. Then Goto the blogger page and select ‘Layout’ option. It redirected to a new page from that select ‘Sidebar-right-1’ option and click ‘add new widget’. 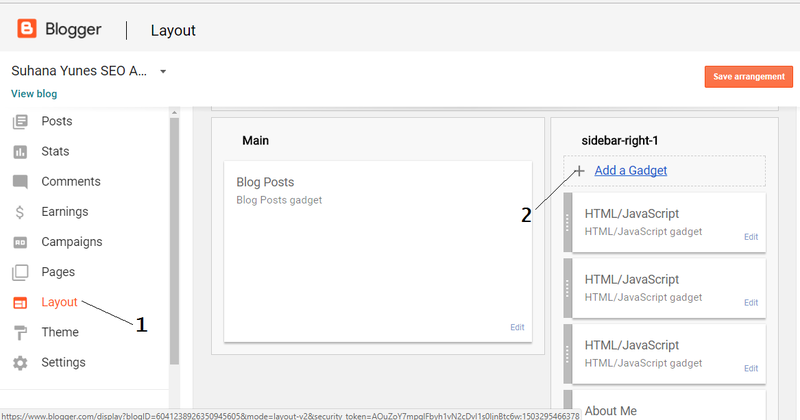 Then paste the HTML code on the content space and save the changes. Finally click on save arrangement option. 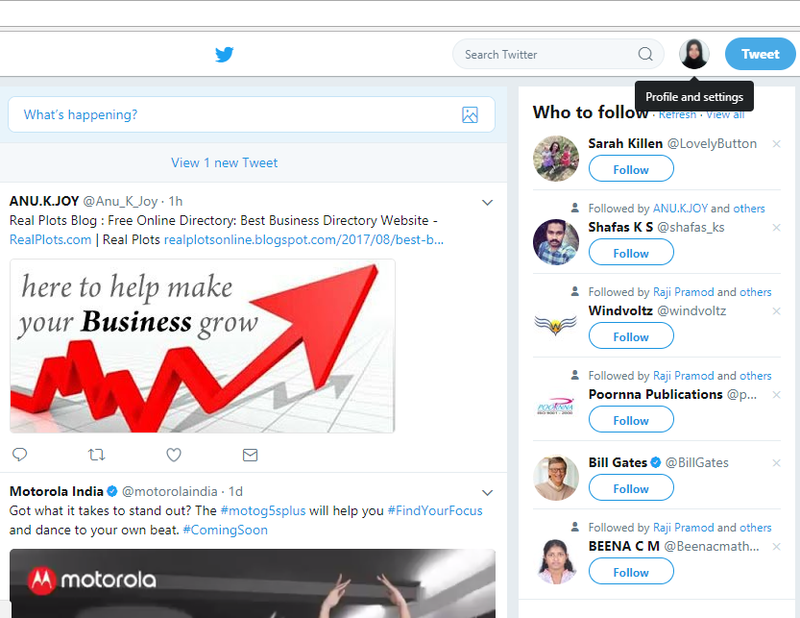 Now Twitter widget is added to your blog post.